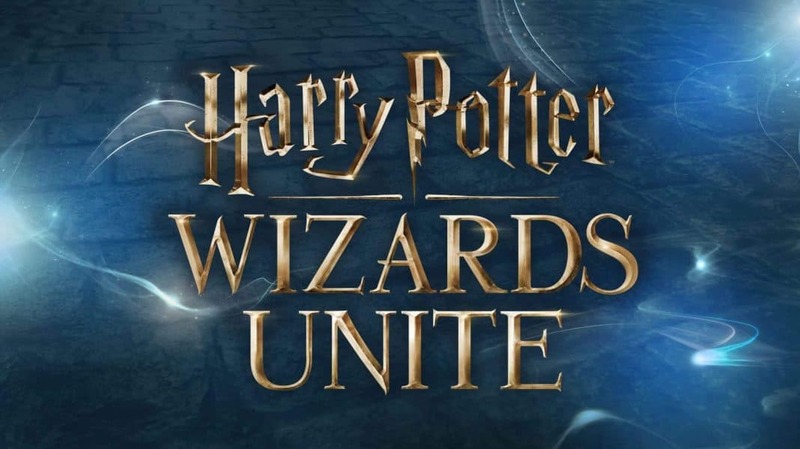 Harry Potter Wizards Unite is the new game developed by Niantic based on the famous series written by J. K. Rowling. It is an augmented reality RPG, working on the same principles as the also famous Pokemon GO. Niantic plans on releasing the game on platforms such as Android and iOS in the second quarter of 2019 and we can barely wait for it. You can already register to get news from the Statute of Secrecy Task Force and find out how you can keep the Wizarding World a secret from those pesky muggles. In November 2017, we barely knew what was being planned for us when the first trailer of the game was released. A mysterious girl appeared out of nowhere to catch a wild flying Snitch. With two flicks of her wand, she captured it and stuck on the wall a small poster that asked all wizards for help. That was the first sight of the magic needed to save the Wizarding World. The website gave us no trace of where that would lead or what was needed from other members. With the familiar and goose-bump inducing music of the movies, we left the trailer hoping for more soon. Today, we know that we are members of an organization created by the Ministry of Magic and the International Confederation of Wizards. Our role is to contain unpredictable traces of magic that appear all around the world and collect Foundables. Foundables will be the objects scattered around the world that need to be returned to the Ministry of Magic. After releasing the spell masking the Foundable and defeating the enemy guarding it, you will be able to return it safely at the ministry and you will receive a chest to help you along your way. With Niantic revealing more and more about the game, we now know that it will be RPG-focused, more so than Pokemon GO. There will be 3 classes to choose from Professor, Auror, and Magizoologist. Each specialization will have its own skill tree that will make the game much easier or give you access to new elements in the game. And you can change the specialization whenever you want, without losing your progress. Don’t worry, you’ll be able to pick your house and your wand from the very beginning so that you feel you’re part of the Harry Potter Universe. This is giving me chills just thinking about it. And, as an added AR feature, you can take a picture of yourself and customize it in-game. Try on different hats, glasses and other items prepared by Niantic. The combat system in Harry Potter Wizards Unite will have an interesting twist. You will encounter villains and creatures that will try to harm your character. Be prepared to trace the needed pattern on the screen. Make it fast and accurate and the spell will land. You will also be able to block the incoming spells using Protego, which will require more speed than accuracy. All in all, I can’t wait to swish and flick or to defeat that bloody Dementor that’s guarding the Foundable. Niantic promised that at the beginning of the game there will be over 100 landmark events. What this means is that you’ll have the chance to save your favorite character and level up your abilities faster. These AR events will trigger past iconic moments from the Harry Potter series. This means that you have to gear up and be ready to use your spells and counter the Dark Forces, so you can keep the Wizarding World hidden. The new map from Harry Potter Wizards Unite will be similar to that of Pokemon GO. There will be Inns and Greenhouses that will give you energy to fight and ingredients to craft potions. Much like in Pokemon, you will be presented with random ingredients, the difference is that you’ll have to choose between five concealed plants. This makes for a nice change in mechanics and, maybe, a new layer of strategy. The dynamic elements from Niantic are always a very nice thing to see. As always, time and weather will play a big role in shaping the world. And with the addition of moon phases as an influencing factor, new opportunities arise. They will determine the type of ingredient and the visuals of the map. With owls flying by and traces of magic being left behind from other wizards, it will all become part of a magical universe. One of the notable features of the game is Portkeys. They will appear on the map and allow to travel to a distinctive location from the Harry Potter Universe (one of which is rumored to be Dumbledores’ Office). Similar to raid battles, Fortresses in Harry Potter Wizards Unite will feature unique villains that need to be defeated to receive rewards. There will be different levels of Harry Potter characters that need to be defeated. And to do that, you will need other players helping you. Up to 5 players can join a party, using rune stones, so they can defeat bigger bosses and receive better loot. This is the epitome of the Universe as it will make you face some of the most dangerous Wizards. This is where I’ll be spending most of my time. Battling and defeating Dark Forces to keep the Wizarding World a secret. You are able to pre-register to receive a notification when the app is released on Google Play. I’ve been keeping an eye on the game since it was first announced. It’s a great pleasure seeing how the game has developed and what it has come to. I am certain that Harry Potter Wizards Unite will create a unique experience and I can’t wait for the game to be released. Please check out some other articles from GadgetGang. Leave me a comment and tell me what you think about the game? Until then, we will gear up, prepare and don’t forget: Draco Dormiens Nunquam Titillandus. Previous articleQuantis Network (QUAN): The next generation of Privacy!